Unplugged weddings are becoming increasingly common, and our popular post 23 Photos that Will Make You have an Unplugged Wedding certainly gets a lot of interest on social media with many couples considering it. Of course going unplugged doesn’t have to mean no photos at all, but here we think going unplugged for the ceremony is a worthy and should be a serious consideration. Let your guests watch you tie the knot and get married to the love of your life, instead of them watching behind a lens, or phone screen. If you have decided you want to go unplugged, be it for the ceremony or the whole day, then the next step is how to let everyone know. The common way to do this is through a notice at the venue for when your guests arrive, a simple sign that makes it clear, so below we have rounded up 17 photos of signs and notices that you could use, and also take note of how they are worded, as sometimes that is the trickiest part. 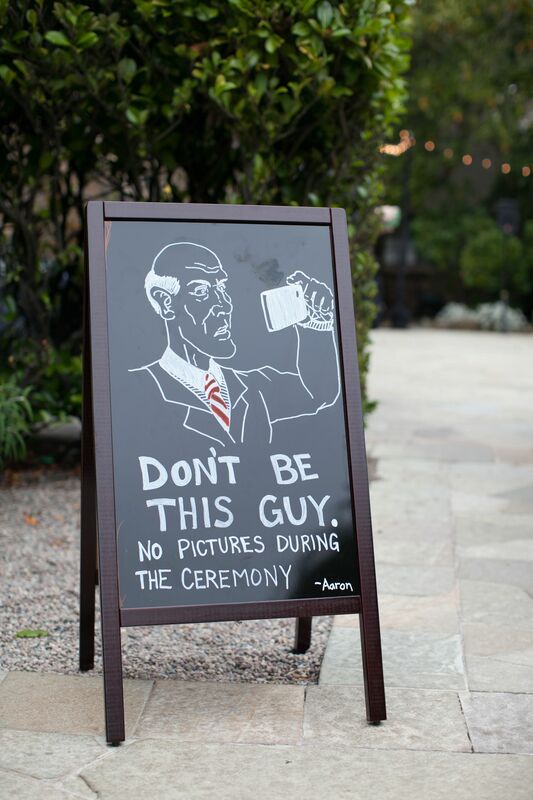 17 Unplugged Wedding Signs you could use! 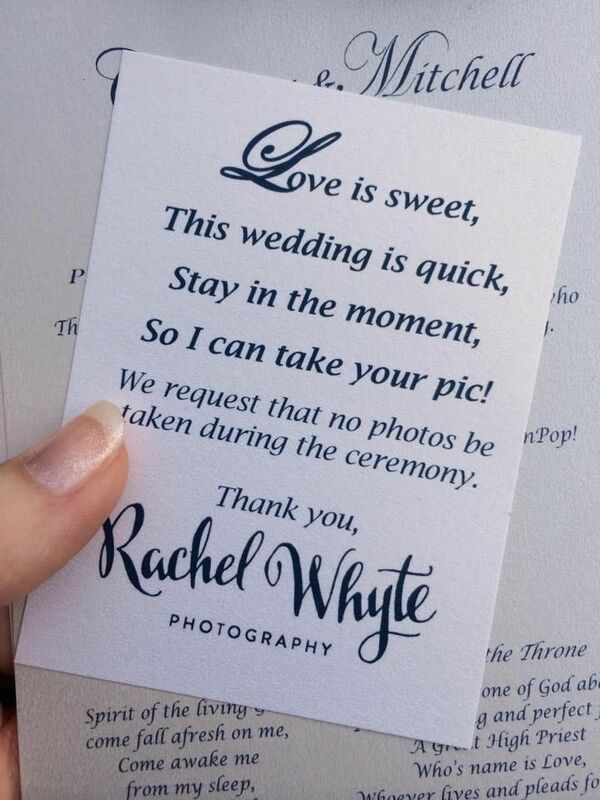 While signs are a great way to let people know, a mention by the ushers as guests come in to the people with a camera and maybe an announcement by there best man or maybe the priest depending on your wedding and where you are getting married. If you are undecided about going unplugged or not for the ceremony then consider why you have asked guest to be there, of course most will enjoy the moment with you, however we all have those friends that can’t help but get their phone out and take some snaps, but you don’t want to look at your friends and family to see a camera or phone pointing back, you want to see their smiles, their emotions, the joy, or even that little tear in their eye, that is what makes it special, that is why they are there to enjoy and celebrate this moment with you. There is no need to ban photos for the whole day, but do consider politely asking your guest to refraining from taking photos in the ceremony and to just enjoy the moment with you. Are you having an unplugged wedding? How are you letting your guests know? Share your ideas below. Great post, wish more couples went unplugged, or perhaps more guests just enjoy the day themselves and leave the camera at home. We absolutely want this but we don’t like having to tell people; why has it become to he norm?